Don Tapscott feels blockchain is the “second era of the Internet. As the hype around blockchain grows, India has the potential to lead the world in the application of the technology and should put Aadhaar on the blockchain, said expert Don Tapscott, who founded the Toronto-based think-tank Blockchain Research Institute. “Yes, that should all be on blockchain…You don’t want to centralise identity… that’s Big Brother. It is a very dangerous thing, it can be hacked as well. We want a distributed identity that citizens own their own data that’s in a black box and the virtual you can take all your health, education, transaction information and its controlled by you. You can use it to plan your life, you can monetise it if you want, you can protect your privacy,” he said. Aadhaar, India's identity system which stores citizens' biometric data such as fingerprints and iris scans, according to the government, is stored on a central database, which is secured by best in class cryptography and strict rules around who can access citizens data. There are several concerns that have been raised around this system, but one of the most pertinent ones revolves around the possibility of the central database getting hacked, putting the identity information and privacy of over a billion Indians at risk. This essentially means that if Aadhaar is put on a blockchain, it would be a distributed database, and not a single, central one. Also, the way blockchain works is that for any transaction to take place on the ledger, it would have to be approved by a majority of the points on the ledger. Because of its strong cryptographic protection, the data cannot be hacked until at least 51 percent of the "nodes" or points in the system are compromised. There has been an increasing number of people calling for Aadhaar to be on the blockchain. Tapscott, who was in India last week for National Association of Software and Services Companies’ annual India Leadership Forum in Hyderabad, Tapscott spoke about the how blockchain was the “second era of the Internet,” and signed a partnership with Nasscom to promote blockchain in India. In his book- “Blockchain Revolution: How the technology behind bitcoin is changing, money, business and the world”- Tapscott and his son Alex have detailed the many ways in which the technology will revolutionise nearly every industry in the world. “It will be the operating system of our economy for the next few decades and India is a bit behind and could lead the world. 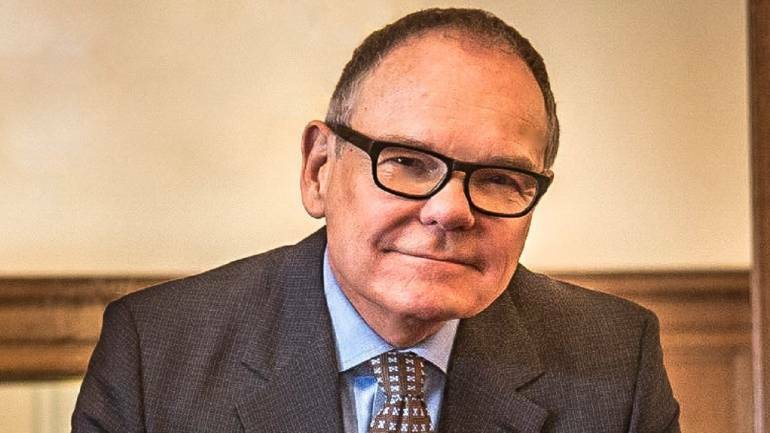 Canada right now is the leader and we want to share all this knowledge that we have with companies in India,” Tapscott said. Apart from financial services and banks, who have been actively looking at using blockchain technology, it also has the potential to revolutionise supply chain, agriculture, stock markets, food safety and others. In India’s budget announcement this year, Finance Minister Arun Jaitley said that the government does not identify cryptocurrency as legal tender and it will discourage its use, but will look at using blockchain technology. This came at a time when the value of cryptocurrencies such as Bitcoin, which are the largest known use case of blockchain technology, was on the rise. Other countries such as South Korea have also made regulations against the anonymous use of bitcoins, which has contributed to a fall in the value of bitcoins, which reached a peak value of USD 19,000 last year. Tapscott said that governments should not be scared of cryptocurrencies and they will not replace existing currencies. “The real opportunity is blockchain, not cryptocurrency, but there is a role for cryptocurrencies. They are a new asset class and that is of interest to some investors. And it’s good to have a currency independent of states,” he said. He added that cryptocurrencies such as bitcoins incentivise bitcoin miners to keep the blockchain valid.